Since the start of the 2017 season, it seems that every day of the WRC has provided its fair share of drama. 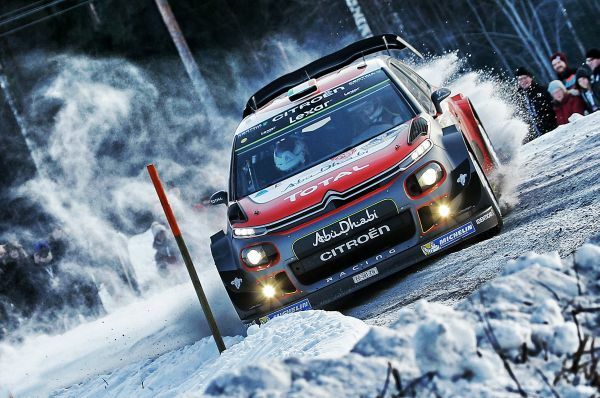 And today's penultimate leg of Rally Sweden proved to be no exception! In the Citroën Total Abu Dhabi camp, Kris Meeke lost time and was replaced in the top 5 by his team-mate, Craig Breen. Both Citroën C3 WRCs remain in the race, as is Stéphane Lefebvre, who lies eighth overall ahead of the final day. - Today's leg featured seven stages: two runs each on Knon, Hagfors and Vargåsen, followed by a return trip to Karlstad for the evening's super special stage. After the morning loop was completed at an average speed of more than 137kph, the organisers nevertheless decided to cancel Knon 2 on safety grounds. - Having started the day fourth overall, Kris Meeke lost a place on the opening stage, SS9. Although he was happy enough with his driving and his Citroën C3 WRC, the Brit was unable to match the pace of the leaders. He held onto fifth place until SS14. - Kris missed a corner on the Vargåsen stage and fell into a snow-filled ditch. It took a handful of brave spectators eight minutes to get him out and on his way again! Kris Meeke and his co-driver Paul Nagle ended the day in 12th place in the overall standings. - Craig Breen and Scott Martin were determined to have an error-free day today, and started the leg well as they moved up into seventh position on SS7. Gradually improving their pace, the crew's consistency paid off over the course of the afternoon. 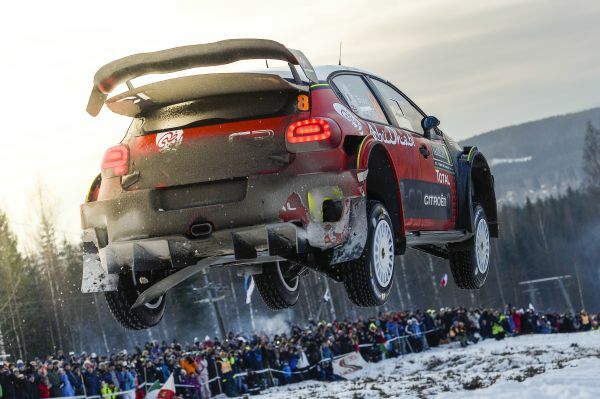 The problems affecting their team-mates and then the rally leader Thierry Neuville meant they ended the day in the top five of the overall standings! - Competing in a previous generation car, Stéphane Lefebvre was running second in the starting order. He therefore found himself sweeping snow from the racing line throughout the morning. Ninth at the mid-leg point, he lost a place on SS13, after hitting a snow bank on the last corner! The end-of-day drama nonetheless saw Stéphane and Gabin Moreau move back up into eighth overall. 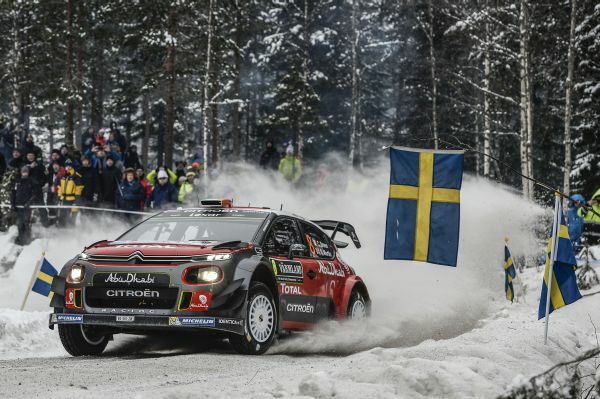 - The final leg of Rally Sweden is held tomorrow and features three speed tests, including the Power Stage, which now awards bonus points to the top five finishers. The rally is scheduled to finish in Torsby from 1.00pm. "Craig's goal was to have an error-free day and he managed to do just that, as well as making it into the top 5. He is therefore on course to secure a convincing result, in line with the target set before the rally. With his starting position, Stéphane had to sweep the fine layer of fresh snow off the racing line. It was a useful experience, but it wasn't easy for him to show what he can do. Despite a minor error on the final stage, he had a pretty good day. Kris' mistake is unfortunate, but he is still on course to score points in the Manufacturers’ World Championship." “It was a good learning experience for us today. I tried to keep it clean so as to avoid making any silly mistakes. The afternoon was a bit more mixed: I had a good feeling on the Hagfors stage, but not so much on Vargåsen, where I was struggling to keep the car on the road. I'm pleased to be in the top 5 and I'll try to keep it going right to the finish." "This morning, I had the impression I was driving well on the stages but my times weren't good enough to hold onto fourth place. I got caught out on the second run on Vargåsen: the rear snapped away from me coming into a left-hander and I couldn't turn in. We went off the side of the road and got stuck in the snow. Thanks to the spectators for helping us so we could finish the day!" "The first loop was difficult, because I was second on the road and had to contend with sweeping the five centimetres of fresh snow on the racing line. My pace notes weren't perfect either, so I also used the morning to make a few corrections. In the afternoon, I lost about thirty seconds after hitting a snow bank. The rest of the leg went well and I'm pleased to be in eighth place overall."